Specialist commercial law firm Ironmonger Curtis has promoted Partner Toby Pochron to head of Employment, and has increased its ranks in welcoming solicitor Danny Smith to the team. 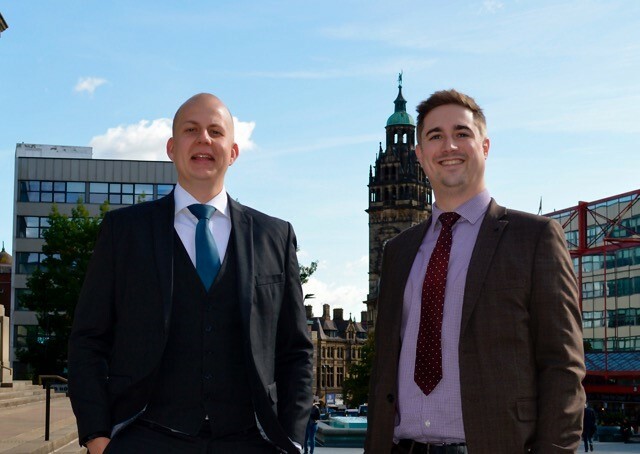 The Sheffield firm has strengthened its employment law offering by recruiting litigation specialist Danny Smith from Gordons LLP based in Leeds & Bradford. Danny, originally from Sheffield, practised at Gordons for over four years acting for a broad range of national and SME clients across key sectors including retail, healthcare, financial and engineering. Danny has over seven years’ worth of legal experience gained within Yorkshire. Danny said:“After some time working away from Sheffield I am pleased to have joined Ironmonger Curtis; a forward thinking firm that is a trusted advisor within the business community. Trevor Ironmonger, founding member of the firm, said: “Since joining the firm in 2014 Toby has demonstrated an excellent level of ability, professionalism and drive to grow both the Employment Law offering and the firm as a whole. Following the recent incorporation of the firm, and the promotion and addition of key fee earners, the future certainly looks positive as Ironmonger Curtis continues to expand and develop its services across the region.